Snow storms have been pretty active the past couple weeks. Made it back up this weekend snow pack is 250% of normal. Did you get the snow off? Up here in central NY we have had quite a bit of precip, but aftewards it warms up and rains. We have maybe 6 inches on the ground and not sure yet how much in the woods. Going up this weekend in fact. ADKbham and Stea like this. Yep, removed the snow off the roof. 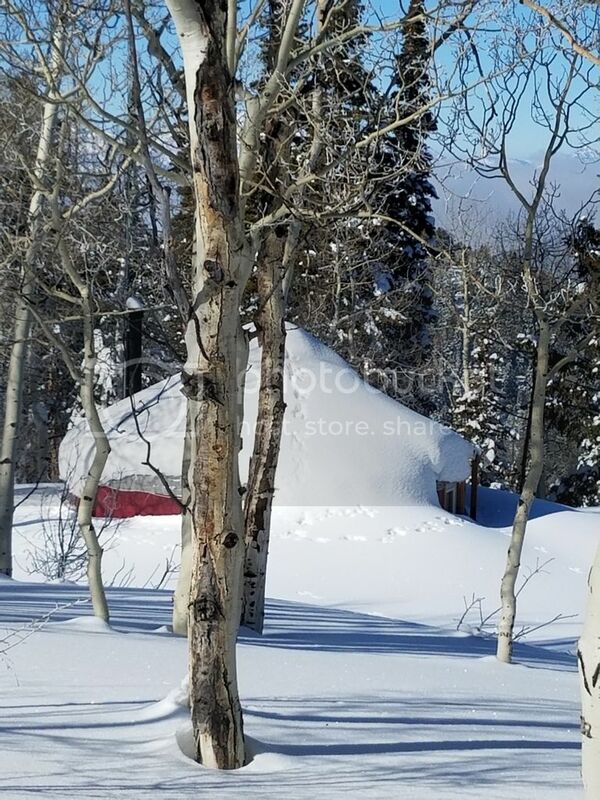 I then made sure there is a snow free area 2-3 feet down from the roof edge and 4-5 feet from the yurt. That way when it snows again there will be somewhere for the snow to slide to. In the pic there is about 12-16 inches on the roof. It had slid a time or two because actual new snow was about 48 inches .